As awareness of Veteran’s issues rises in the United States, more and more organizations are rising up to advocate for the community. Unless you’ve served in the military, you might not understand all of the complexities of life as a veteran. Government benefits, medical problems, difficulty in the work force, and more, all contribute to a need for special considerations for veterans. There is no shortage of groups of people working for the common cause of the wellness of veterans and their dependents. The fields that veteran’s organizations aid in are wide reaching. There are groups offering affordable legal assistance, scholarships for education, business training, advocacy and more. While things were not always this easy for Veterans, in the U.S. we are fortunate to have a thriving network of individuals and groups that care about veterans. The Wounded Warrior Project is possibly one of the most widely known veterans organizations in the U.S. For over 15 years, the Wounded Warrior Project has offered aid to veterans with issues both visible and invisible. According to the group, the numbers are their driving force for offering this help. The Wounded Warrior Project is unique from some other veterans advocacy groups in that they do not have any specific purpose. Outside of the mission of, “Serving those who sacrificed,” they have programs that cover almost all of the issues that a veteran could be presented with. The Wounded Warrior Project has programs that address physical wellness, mental wellness, personal independence and more. One of the most wide-reaching programs offered by the Wounded Warrior Project is the career and benefit counseling program. In 2018, there are plenty of career and educational resources available for veterans. Oftentimes, the hardest part for veterans is knowing what benefits they are eligible for and how to go about receiving them. When transitioning to life after military service, finances are often the paramount concern. The counselling program offered by the Wounded Warriors Project helps connect veterans to benefits, a career, and ultimately, their long term goals. 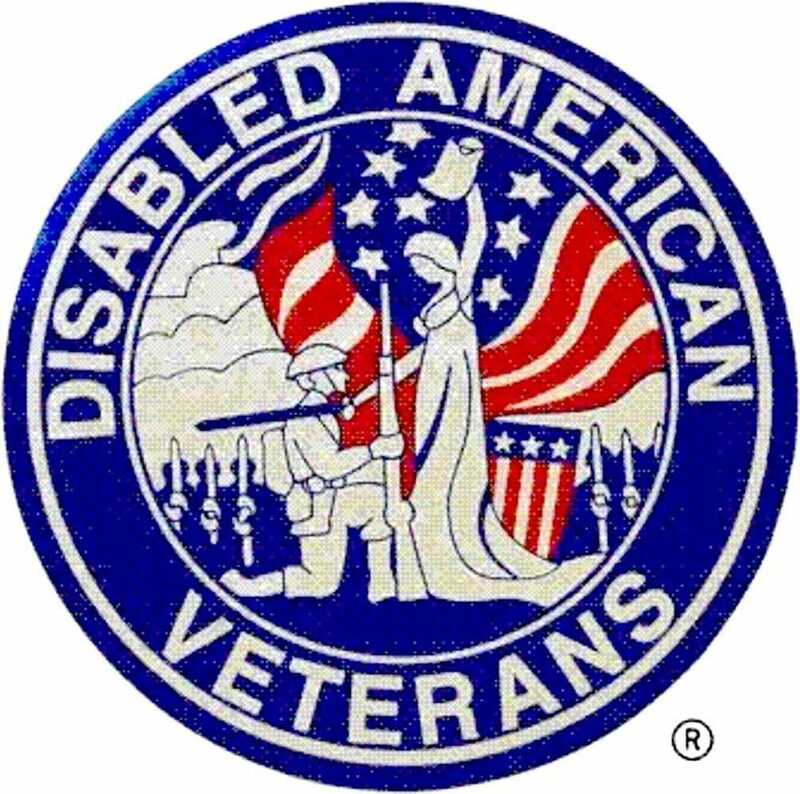 Disabled American Veterans, or DAV, is a nonprofit charity that provides aid to over 1 million disabled veterans annually. DAV is similar to the Wounded Warriors Project in that their programs are wide-reaching. One of the primary functions of Disabled American Veterans is to provide transportation for veterans to their medical appointments. On average, the charity provides over 600,000 rides annually. In addition to their ride program, DAV also offers employment connections by hosting job fairs nationwide. This is possible because DAV is a chapter and membership-based organization – they have over 1,000 chapters across the nation and more than a million members. Another vital function of DAV is their benefit assistance. On average, DAV helps veterans file 250,000 benefit claims every single year. In 2017 alone the organization was able to help secure over $4 million in new and retroactive benefits for veterans. DAV is one of the veterans organizations known by many and actually taken advantage of by many veterans. As we move down the list of veterans organizations, AMVETS is one you have probably heard of. AMVETS is actually a congressionally-chartered organization. Additionally, AMVETS is one of the most inclusive veterans organizations as they serve the interest of over 20 million veterans nationwide. To complete this mission, American Veterans has programs to assist with multiple veterans-centric issues. As is the common theme with veterans organization, AMVETS has wide-reaching programs that are not specific to one area of aid. AMVETS has a scholarship program that benefits high school graduates who are entering college in the upcoming year. In addition to deserving high school seniors, these scholarships are also awarded to non-traditional college students including: J/ROTC students, veterans, and service members pursuing a higher education. Outside of these scholarships that are awarded at the national level, certain regional posts and groups within AMVETS offer specialized scholarships as well. Scholarships are awarded on the basis of financial need, academic promise, and merit. Additionally, AMVETS has programs designed to honor veterans both during the time with us and upon their passing. AMVETS has a volunteer program to serve veterans and a funeral honors program that ensures that any passing veteran can receive a folded, honorary flag, and a live or digital bugler to play “Taps” at their funeral. Perhaps one of the most vital functions of AMVETS is their lobbying efforts in Washington D.C.
Veterans are an underrepresented people group within the fabric of our nation and AMVETS does a great deal of good in representing their interests to policy makers and lawmakers in D.C. The Military Order of the Purple Heart, or MOPH, is a group of individuals dedicated to protecting the interests of a select group of veterans – recipients of the Purple Heart. The Purple Heart is a military combat decoration that is awarded to wounded soldiers. They are funded mostly through the operation of thrift stores, donations of automobiles, and through monetary donations. The Military Order of the Purple Heart runs a number of programs. Their largest by far is the “Service Program” which commands 2/3 of their total annual budget. The Service Program is comprised of a network of more than 70 offices across the U.S. The doors of these offices are open to any military veteran, members of MOPH and non-members alike, for assistance in making claim to military veteran benefits. Provide available assistance to all veterans, their dependents, widows and orphans. Process veterans' claims for compensation, pension, medical care, education, job training, employment, veterans preference, housing, death, and burial benefits. Serve on President's Committee for employment of people with disabilities. Assist in identifying and helping homeless veterans. Secondarily, the MOPH has six other programs: The VAVS Program, The Americanism Program, The National Scholarship Program, the Purple Heart Trail Program, the Service Foundation, and various ROTC/JROTC/Youth Programs. The VAVS Program is the Veteran Affairs Voluntary Services. Across the nation, participants of this program volunteer their time at their local Veterans Affairs facilities. This allows the VA facilities to reserve some of their funding for other helpful opportunities. Nationally, the program saves VA facilities from hiring an average of 65 employees. The goal of the Americanism Program of the Military Order of the Purple Heart is to work with schools and other organizations to promote patriotism, freedom, and U.S. history. The program provides multiple resources free of charge such as printed copies of the Pledge of Allegiance, the Declaration of Independence, and the Bill of Rights. The MOPH National Scholarship program provides select students with educational scholarships. Scholarships are given to children, spouses and other various dependents of Purple Heart recipients. The scholarships can also be given to members of the family of deceased combat veterans, regardless of their status of receiving a Purple Heart or not. The Purple Heart Trail Program is a dedicated system of byways and highways that honor Purple Heart Recipients. The highways stretch across the U.S. The Service Foundation is the fundraising extension of the Military Order of the Purple Heart. They primarily raise funds to meet the operating costs for the Service Program. Patriotism is an American value, one held near and dear to the hearts of many Americans. As a result, our military veterans are often well-regarded. It’s nearly impossible to thoroughly create a list of organizations that are doing their part to help veterans and their dependents enjoy a higher quality of life as for of gratitude for their sacrifices. However, this list highlighted some of the most impactful veterans organizations and outlined some of their premier programs. Whether you’re a veteran yourself or you have a friend or family member that served, this list is a fantastic starting point to get our service men and women the life they deserve.